For my Mexico trip last week, I switched out my everyday leather Celine bag for a canvas Prada tote that features (oh so suitably) a playful sombrero and cactus print. And I've been carrying it ever since, maybe, because it reminds me of the fun I had, or just because, well, why not, I can! 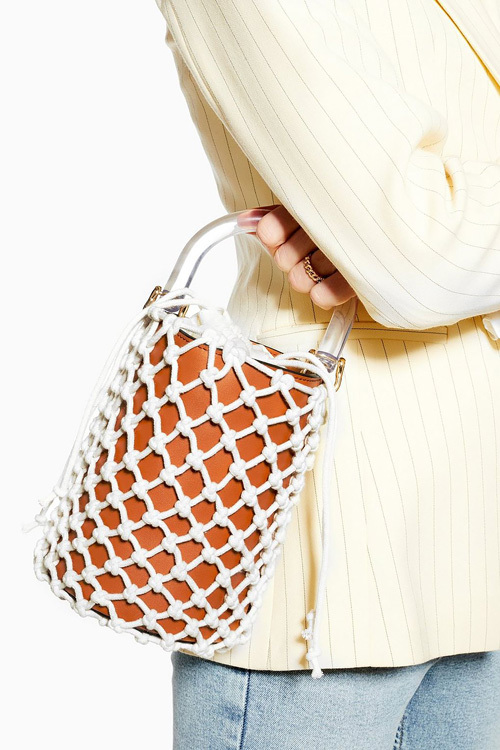 I think like this cute new Topshop bag would work the same kind of happy-go-lucky tricks (it has a shoulder strap so I could sling it across my body! ), plus make a super with-it, everywhere-cool statement.